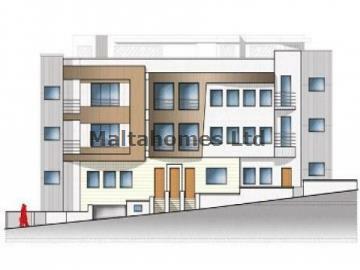 A newly built block of Maisonettes and Apartments situated in the sought after locality of Marsascala. The block comprises of 2 or 3 bedroom residential units, which will be finished throughout apart from the kitchen. Furthermore, one can get a 2 car garage at an extra cost. Marsascala boasts a very pleasant promenade with shops, restaurants and coffee shops around this beautiful Bay area.